A friend recently confided that she loves hammocks, but mostly to look at; she’s not the sort to laze about on a summer afternoon. Despite being, like my friend, averse to slothfulness, I choose to hang out a hammock. I have my reasons (which I will share) and my goal is to sit in it at least three times per summer. Otherwise, it’s mostly full of children, and that’s not a bad job for a hammock. Perhaps you have your own hammock hangups. If so, read on! Reason 1: Kids Love Them! Hang one near the corner of your garden, and your children will spend time nearby, telling you stories or making their own, and not trampling seedlings or weeding out lettuce. Younger children might even accidentally take a nap. If it’s outside your kitchen window, you can supervise your little ones and catch up on indoor chores. Also, some hammocks make good hiding places, like the Hammock Hideaway. 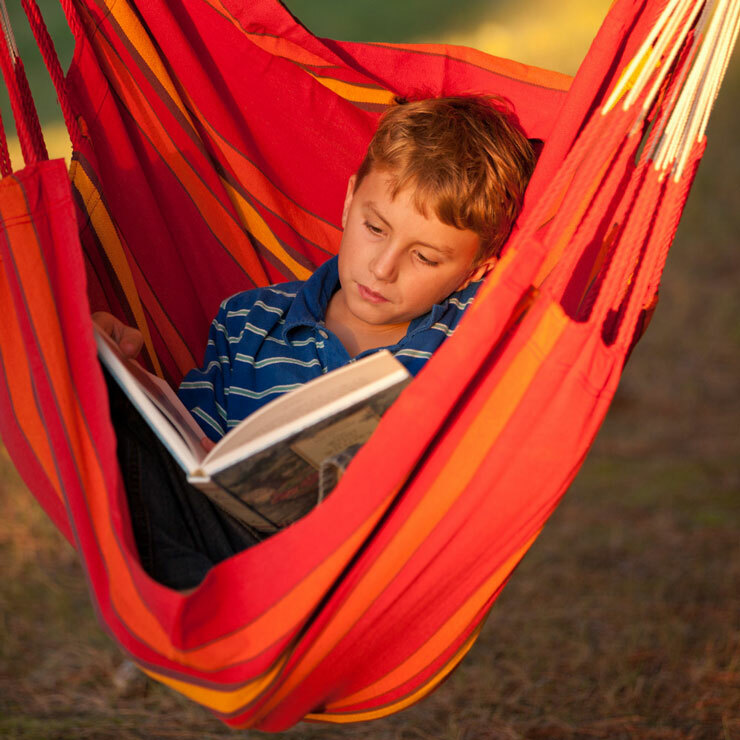 If you want to finish that last chapter of a book, a hammock can help you be out of sight but not out of earshot. 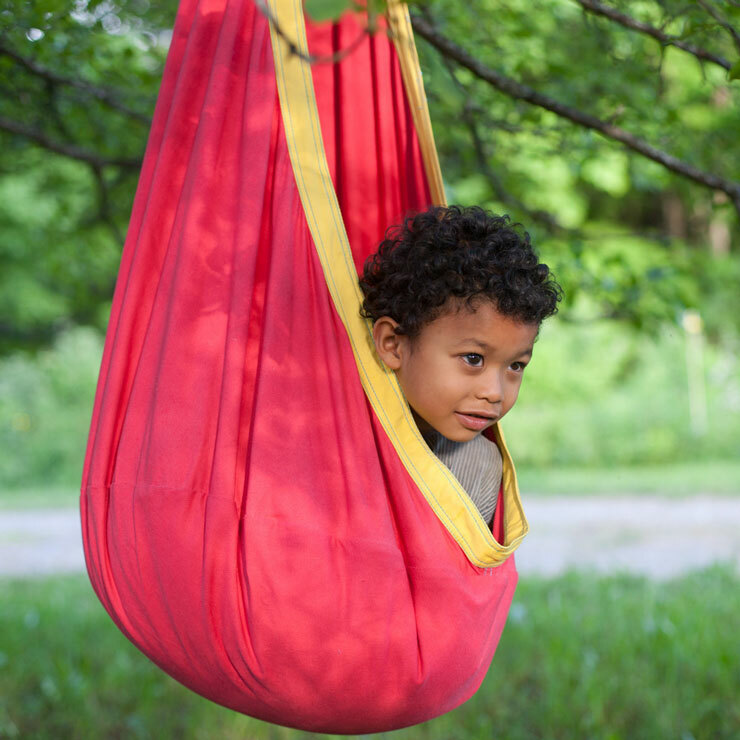 For children who like a little more privacy, these are an excellent way to feel secluded while still able to dip into the action. Sharing is the best reason for the Lazy Day Hammock. It’s a perfect place for a reading a book or having a quiet chat. 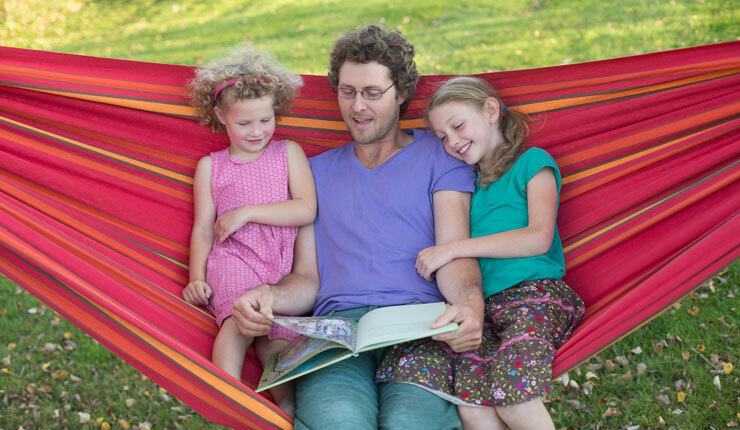 You might even think of it as a parenting tool because everyone gets mellower and more open to solutions when they’re in a hammock. So, now, HOW to hang a hammock. It can be as simple this Tree Hanging Kit if you have a couple of well-placed trees, but there are other options, even if you don’t have a tree. For a Hammock Chair or a Lounger, you can use this Hanging Kit. You still need some sort of load-bearing structure, but it can be a tree limb or ceiling joist. 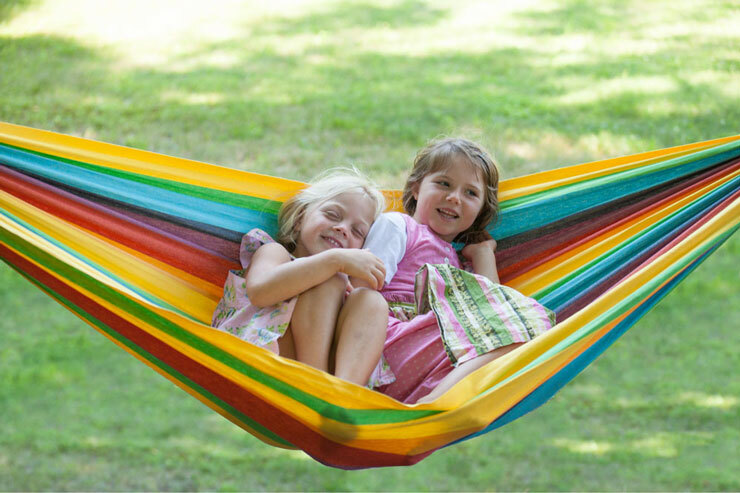 For any of the bigger, Lazy Day Hammocks or Kid’s Rainbow Hammock, you can use the Tree Hanging Kit or the Hanging Kit for Home. Remember, once you get the hammock hung, even if it’s September and the leaves have begun to turn, you must test it out before anyone else–just to be sure you did it right :).